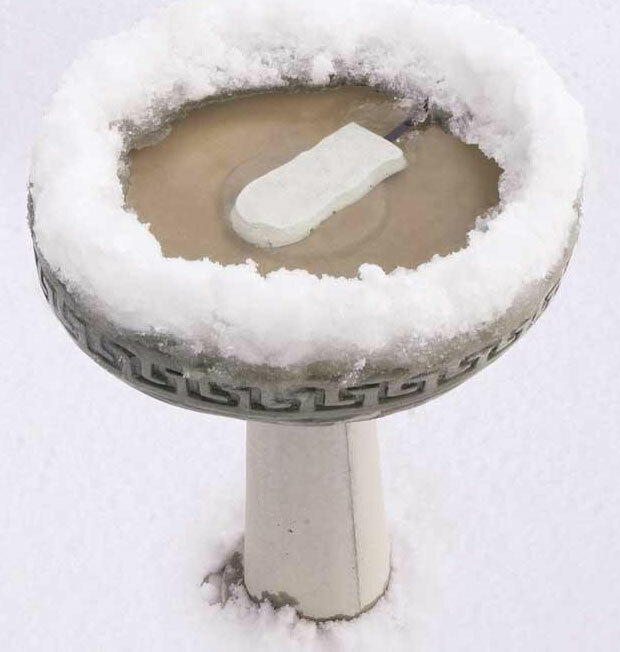 K&H Pet Products Ice Eliminator Bird Bath De-Icer White 7" x 3" x 1"
Let's just list a few more... Solid aluminum housing keeps the unit from falling out of the birdbath. Attractive rock‐like design blends naturally with any birdbath. Spray paint any color to match any birdbath. 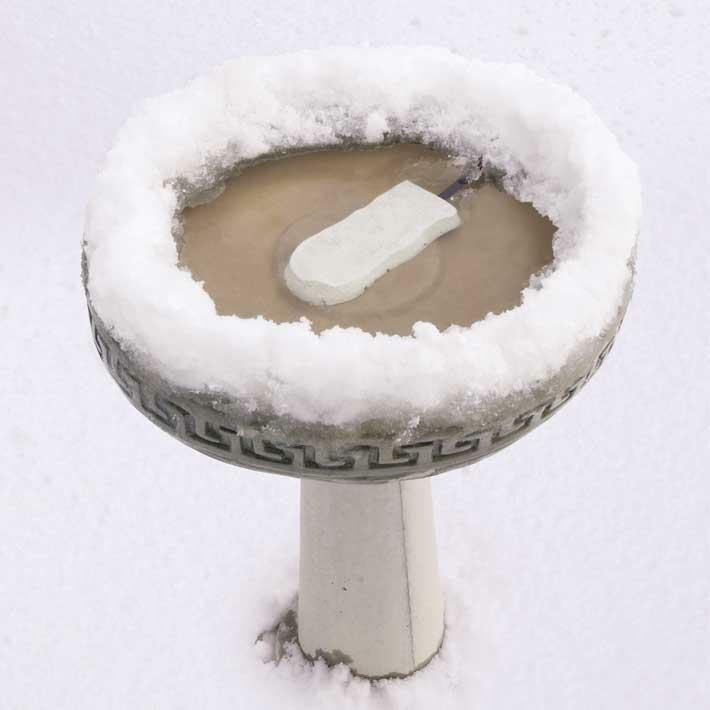 Will not calcify, rust, or leave stains in birdbaths. Won't burn or melt plastic birdbaths. Being only 50 watts, it saves money vs. most other brands. MET listed. Safely maintains open water to 20° below zero Fahrenheit. Natural color and 18" cord blend in with nearly every birdbath. Thermostatically controlled, using only 50 watts. Dimensions: 7" x 3" x 1"
12" x 8" x 6"
11" x 3" x 1"